Our moto for LUMY is “Better Together,” and we truly believe that life is better when you are surrounded by a community of peers and leaders that love and support you for who you are, and are pointing one another toward the love of Christ. 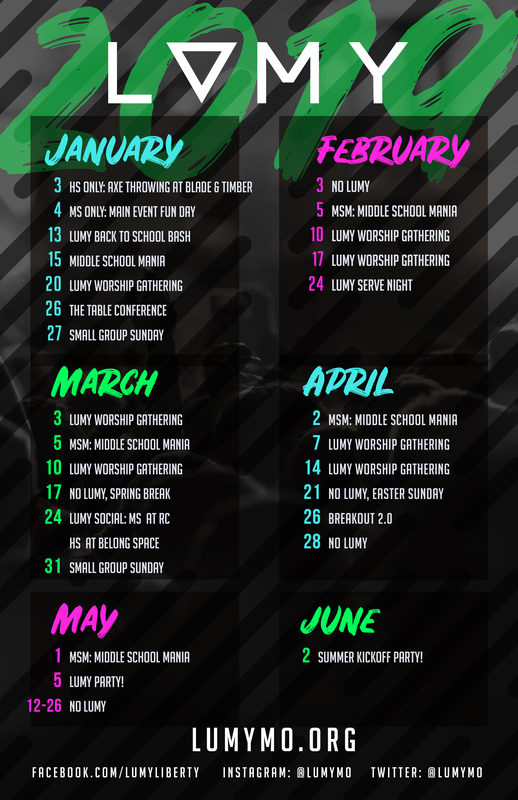 LUMY is a place for all students 6th-12th Grade to come together, support one another, grow together through Christ, and live life with each other. We do this each week by worship through song, a message, small group discussions, and a time of fellowship Students are separated, Middle School & High School, to allow them to have a worship experience catered to their development and needs.